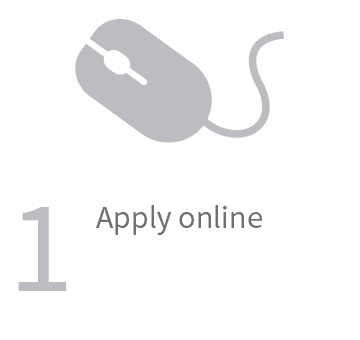 Click the button below that matches your term and complete the HSBC credit card application. 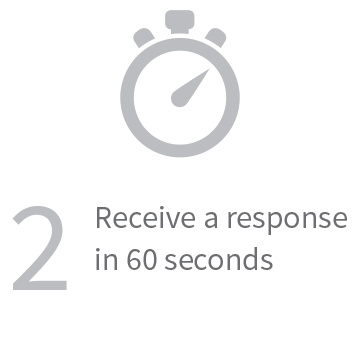 Our fast response will be displayed on-screen and emailed. 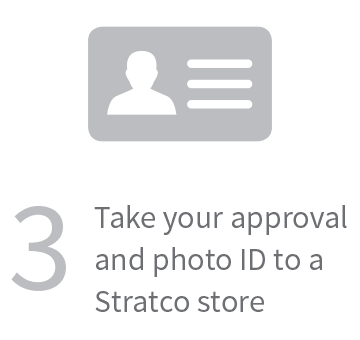 If you are approved, take your response, application and photo ID into your nearest Stratco. It’s that easy! 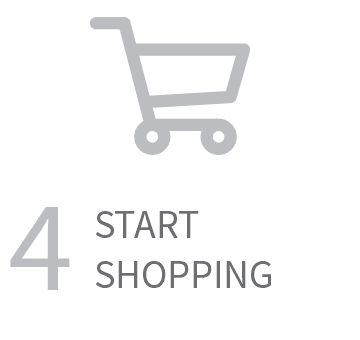 Finance is not available to online shoppers or applicants that cannot visit a store to complete their purchase. Interest-free* on promotional purchases at selected outlets. Reverts to the cash advance rate. Payment-deferred option available on promotional purchases. Cash withdrawals at over 800,000 ATMs worldwide. How does interest free* work? Interest-free* means you will not pay any interest on the promotional purchase you made with Stratco during the promotional period. You will be required to pay the minimum monthly repayments as you would with any standard credit card purchase. Other transactions made with your credit card will incur interest charges. Upon expiry of your interest free* period, any remaining balance will revert back to the cash advance rate of 25.99% p.a. As well as having the advantage of not being charged any interest on your promotional purchase for the specified promotional period, you don’t need to make any repayments towards that purchase for the deferred period of the promotional purchase. Some retailers call this, ‘Buy now, Pay later’. Payments will be required once the payment deferred term has expired. Other transactions including fees and charges will require the minimum monthly repayment amount set out in your credit card statement. Yes, you can use your card to make additional interest-free* purchases in-store up to your available credit limit. 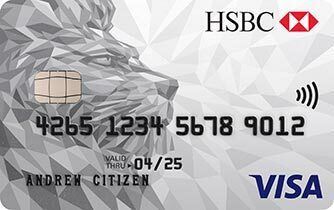 Simply bring your HSBC Visa Card in-store and ask the attendant to process an ‘Add-on’. Unless your payments are deferred, the minimum monthly repayment is the higher of $20 or 3% of the outstanding balance at the time your credit card statement is issued. You must pay at least the minimum repayment set out in each statement on or before the due date. This is the date HSBC should receive your payment. You should allow sufficient time for payments to be received and processed by us before the due date. *Interest free finance is applied only to promotional transactions for the specified period. The interest free offer applies to the Gable Roof Shed, Pavilion or Outback Patio materials only. Installation and concrete slab is not included. The offer does not include the range of Stratco garden sheds, this includes the Stratco Handi-Mate Shed. Balances outstanding at the end of the promotional period will form part of the normal account balances and will accrue interest at the cash advance rate applicable at the time, which is currently 25.99% p.a, and is subject to change. See in-store for details. Unless repayments are deferred for a specified period as part of the promotional offer, monthly repayments are required and calculated at 3% of the outstanding balance or $20, whichever is higher. Lending criteria, terms and conditions, fees, and charges apply and are available on application. Minimum purchase $500 for 6 and 12 month offers. Minimum purchase $2000 for 18, 24, 60 and 72 month offers. Credit provided by HSBC Bank Australia Limited ABN 48 006 434 162. Australian credit licence 232595. Not to be used in conjunction with any other offer. ‘No Deposit’ refers to no deposit being required to secure the HSBC interest free terms finance facility. There may be a deposit required to progress the Stratco job through the sales process to complete the order.